Wyoming Equality and Equality State Policy Center site visit. About six months ago, our Portland and Seattle-based Coalitions and Alliances Social Justice Fund NW Giving Projects embarked on a social justice philanthropy journey centered around coalitions and alliances. We came together to learn about the strategic nature of these organizing models (especially in today’s political climate), how they exist in a variety of ways, and what the work looks like within our communities. With this foundational knowledge and a shared racial and class analysis framework we developed through trainings, we set off on our goal to support as many grassroots community organizing groups as we could that are led and directed by the people most impacted. After reading through a stack of diverse proposals, Giving Project members traveled around Washington, Oregon, Montana, and Wyoming to meet the organizers and community members taking part in the various coalitions/alliances. The 21 members from the Portland-based Giving Project and the 14 members from the Seattle-based Giving Project started with lofty fundraising goals of each Project raising over $100,000. With many exciting projects potentially to fund at ~$20,000 level for a year, we challenged ourselves and our personal networks to make pledges and meaningful gifts to raise as much money as possible to invest in the inspiring work we saw during our site visits. In the end, we collectively raised over $200,000, and with generous matches from regional philanthropic institutions, our grantable total was nearly $297,000. Though selecting coalitions/alliances was not an easy task, we’re thrilled to award 15 grants of $19,786! Artists and activists working to preserve cultural spaces in rapidly gentrifying cities. 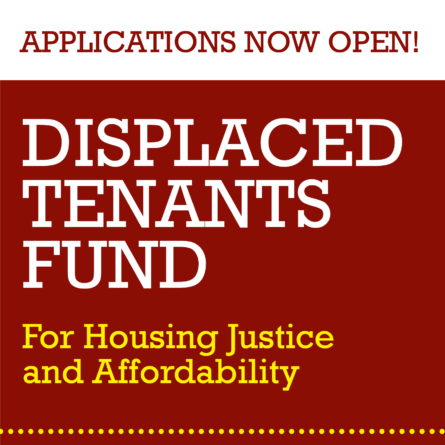 We are excited for you to learn about our 15 grantees in the list below. For many of us, the Giving Project was an opportunity not only to engage with a multitude of community organizers across the Pacific Northwest, but also to challenge ourselves to move more money to align with our values and help enact change. We witnessed the collective power we hold as communities, and flexed the resources we have to move towards a more equitable future. We hope you feel inspired to join a Giving Project in the near future! The 253 Making Connections Initiative (MCI) coalition’s mission is to create a sustainable, multi-sector partnership that creates the conditions under which communities of color, particularly men and boys of color and LGBTQ people of color, are capable of exercising their collective power to implement community-level prevention strategies to improve mental health and overall wellbeing. The coalition organizes to strengthen individual and community resilience and to prevent and mitigate the impacts of community trauma within men and boys of color and LGBTQ people of color for the benefit of the larger community. Coalition activities are specifically focused on stabilizing their core organizers (who are working on LGBTQ health, immigrant and detainee health, and youth power and arts); supporting their youth programs; strengthening the coalition’s leadership structure; supporting membership values alignment; and cooperative development. The All-African People’s Revolutionary Party (A-PRP) and Black Lives Matter Portland is focusing their collaboration on multigenerational community-based political education and relationship building within the African/Black community in the Portland Metro area. Their mission is to strengthen relationships in their community while working toward a shared critical analysis about the oppression of African people, throughout the diaspora, and to collectively and strategically work to liberate themselves and all oppressed peoples worldwide. This funding will support capacity building for the School of African Roots (SOAR), a program developed and started in 2015 as an expansion of the A-APRP’s free breakfast program in the New Columbia area of Portland, which has the highest concentration of African people in Portland. The mission of the Coalition for Trans Prisoners is to address the violence, denial of healthcare, and the violation of rights that incarcerated trans and gender non-conforming (TGNC) people in Washington state are currently experiencing in disproportionate ways. The coalition does this by building accountable relationships with currently imprisoned trans folks; documenting the nature and scope of the oppression faced by TGNC people in Washington prisons; and supporting and centering the leadership of imprisonedTGNC people in their efforts to radically transform the policies that most impact their access to self-determination and dignity while incarcerated. The Community Justice Project’s mission is to support communities most harmed by crime and violence. They support survivors to come together, share their stories, and organize to addresses both interpersonal and systemic violence. The Community Justice Project (CJP) is building a survivor-led movement rooted in healing justice to engage in systemic organizing. Grant funding will support CJP in strengthening their coalition efforts to formalize their collective decision-making process, create space to strategize, deepen relationships, and nurture survivor leadership. The Equality State Policy Center (ESPC) emerged in the 1990s as an informal group of progressive nonprofits in an ultra-conservative state, banding together to give the larger movement strength and community. 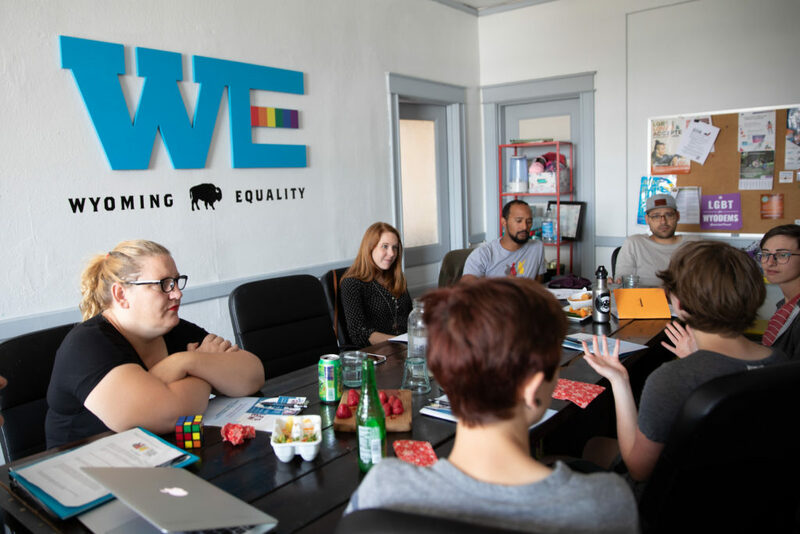 Over time, they have grown to be a diverse and well-established coalition, ranging from the ACLU, to the United Steelworkers, to their co-applicant, Wyoming Equality. Their work has spanned from Medicaid expansion, to workers’ compensation, and government accountability. Led by people of color, the Missoula Racial Justice Coalition (MRJC) envisions a community based on equity, shared power, and a commitment to authentic relationships that value the experiences and identity of people of color. The MRJC elevates the voices and leadership of people of color to increase awareness around racial justice that leads to transformative action, honors the truth of personal narratives, and supports networks of leaders working to build long term power. The Mission of PCUN (Pineros y Campesinos Unidos del Noroeste) and CAPACES Leadership Institute’s (CLI) Grassroots Coalition is to engage CLI and PCUN’s Membership in the decisionmaking process of issue and electoral endorsements and the creation of a strong Latinx coalition with a focus of creating a stronger understanding between farmworker rights, indigenous rights, gender justice, and LGBTQIA rights. The People’s Plan for Community Justice is a principled framework that informs how anti-racist organizers and anti-racist organizations work collectively to end the carceral state. They work to 1) identify the multiple assets and resources in the Black community; 2) connect and fortify these assets to unify and strengthen the Black community; and 3) invest in these assets as they work to build a liberated, self-governing, and unified community for those most impacted by imprisonment. 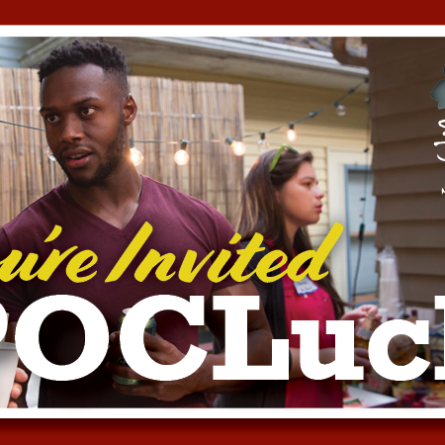 The goal of this initiative is to connect and develop young organizers while nurturing and growing a sustainable political apparatus within the Black community. The Portland Harbor Community Coalition (PHCC) formed in 2012 when grassroots leaders realized that those most impacted by pollution in the Portland Harbor Superfund site were excluded from the planning process. Over a century of industrial pollution is buried in the soil and sediment in an 11-mile stretch of the Portland Harbor. Cleanup is expected to take at least 13 years and cost over $1 billion dollars. PHCC’s mission is to raise the voices of communities most impacted by pollution in the Portland Harbor Superfund site, including Native, Black/African American, immigrant and refugee, and houseless people of all backgrounds, and to ensure that impacted communities lead and benefit from the cleanup, restoration, and redevelopment of the harbor. Seattle ACED (Artist Coalition for Equitable Development) is an autonomous assembly of artists, advocates, urban arts entities, cultural organizers, and activists dedicated to preserving and nourishing the soul of the city through coordination, creative advocacy, and direct action. Their mission is to advance creative solutions to reclaiming land, space, and agency in the physical and economic development processes acting on cultural communities. They are a horizontally-organized coalition lead by artists of color. ACED was formed in the spring of 2017 as a response to community concern with Vulcan’s impact in the Central District. The Seattle Domestic Workers Alliance (SDWA) is a coalition housed at Working Washington, and guided by a steering committee of the National Domestic Workers Alliance, Casa Latina, SEIU 775, and Working Washington. Domestic Workers have been formally and informally excluded from local and federal labor laws for years. They work in homes, away from the public eye, leaving these already marginalized workers subject to exploitation and abuse. Currently, domestic workers are legally excluded from collective bargaining laws and left without the protections of labor standards. SDWA was formed with the mission of passing two legislative pieces: 1) a Domestic Workers Bill of Rights which will provide legal protections for thousands of domestic workers in Seattle, and 2) a permanent forum for workers and employers which will allow them to jointly establish minimum industry standards. This grant provides the funding to expand their field presence and to begin implementing leadership trainings for domestic workers. The purpose of this coalition is to address this critical issue in a culturally-appropriate manner by strengthening the voice and participation of this underrepresented and marginalized community to demand change. The facilitated process is to first gather meaningful data, to analyze the data and highlight issues surrounding the ongoing climate of violence, and create a coalition strategic plan that includes the design and implementation of a plan to advance advocacy strategies at the local, county, and state level to help make Native women safe. The mission of the Southwest Washington Communities of Color Coalition is to empower, connect, and educate marginalized communities living in Southwest Washington. Their collective goal is to continue to create safe spaces where community members, of all races, are able to begin building a cross-cultural narrative representative of their life experiences living inSouthwest Washington with a main focus on racism and its impacts on community. 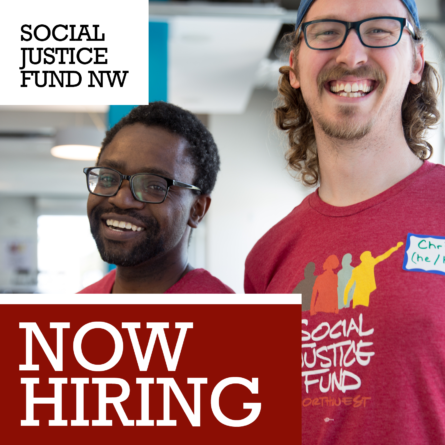 This grant will be used to ensure communities of color and other marginalized voices, living in the Southwest Washington, are centered and balanced in the model of grassroots community organizing, leadership development, and individual empowerment. As a collective, their ethics have allowed them to ensure they are able to work through transparency, respect, humility, and reciprocity in all communities that they serve and work alongside. The Washington Immigrant Solidarity Network (WAISN) is a grassroots coalition made up of nearly 100 immigrant and refugee rights organizations and individuals in Washington. WAISN’s mission is to protect and empower communities by providing support, capacity and resources to build power and a united voice in Washington, establishing tools to resist anti-immigrant and anti-refugee activities, and galvanizing communities for mobilization and collective action.